Star Wars Toy Sales Surprisingly Decline in 2017 - Does This Spell Doom For Movie Tie-Ins? 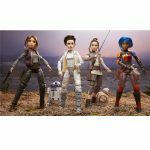 You are here: Home › Star Wars Toy Sales Surprisingly Decline in 2017 – Does This Spell Doom For Movie Tie-Ins? After posting huge sales in 2016, Star Wars merchandise sales surprisingly declined last year. After a banner year of sales in 2016, Star Wars-related merchandise sales surprisingly declined last year, even with the release of Star Wars: The Last Jedi. The early warning signs came from Cars 3. It was considered a sure-fire success, but failed to deliver spectacular results for toy companies like Mattel. After this news, toy makers’ big bets on movie tie-ins frankly look bleak to say the least. Previously, Hollywood’s push into comic book heroes and blockbuster properties like Star Wars would typically drive strong results for the toy industry. Recall, it was Star Wars that jump-started the phenomenon some forty years ago. It begs the question: Has movie tie-in fatigue set in and are those glory days long gone or is this merely a short-term slump or something else entirely? 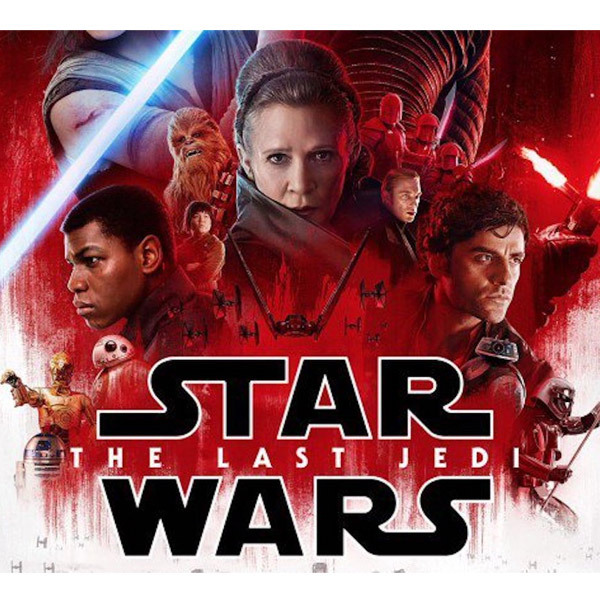 Gerrick Johnson, a BMO Capital Markets analyst, is calling this “Star Wars burnout or movie fatigue.” Part of the problem may be that Hollywood and toy companies are laser-focused on delivering toy friendly movies, but kids are consuming media on YouTube, Netflix, and various social media platforms. Is Too Much Star Wars A Bad Thing? Last year over twenty major films had movie tie-ins. It’s worth noting a decade ago you would maybe see half that number, and theater attendance has plummeted nearly fourteen percent over that period of time. According to the NPD Group, Star Wars was still the best-selling toy brand during the 9-week holiday period. However, it slipped from its top position for 2017 and sales declined from 2016. In all fairness, it is worth noting that 2016 Star Wars merchandise sales results were bolstered by not one, but two Star Wars movies – Star Wars: The Force Awakens and Rogue One: A Star Wars Story. 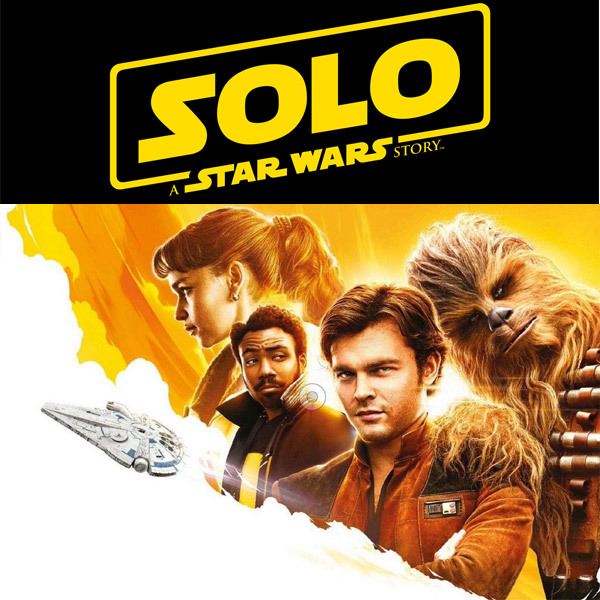 Johnson recognized that following a decade without any Star Wars films, Disney pushed three movies to market in such a short span with Solo: A Star Wars Story hitting theaters in May 2018. Johnson concluded that part of the problem may have been due to the fact that there just weren’t many new memorable characters in the latest Star Wars film, therefore fans looked elsewhere, resulting in weaker results compared to expectations. The other implication is that consumers may feel inundated by a barrage of Star Wars films. Interestingly, Star Wars: The Last Jedi was the top grossing film of 2017, generating sales of $596 million, but Star Wars branded toys experienced slower sales in the latter half of 2017. 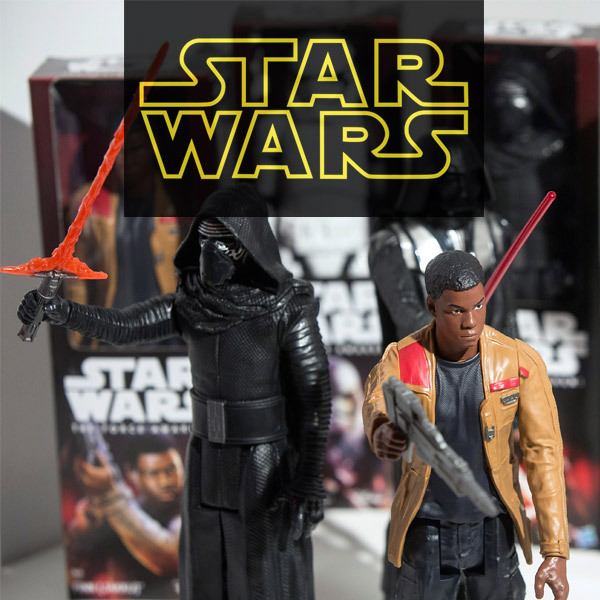 Johnson highlighted the sales trend of adult collectors who buy Star Wars-related merchandise when it first releases but demand dwindles after launch. Because Star Wars sales slumped 13 percent to $4.8 billion, it could hinder Disney’s plans to drive business growth. 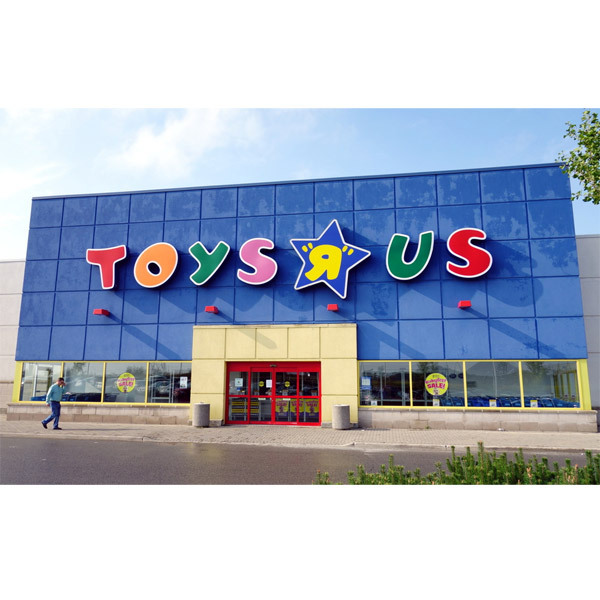 Although Toys R Us marketed Star Wars toys, its bankruptcy filing further complicated matters, making it challenging to drive Star Wars sales growth. It comprises roughly fifteen percent of the market. Toys R Us has an entire aisle dedicated to Star Wars, featuring everything from a $3.99 Millennium Falcon Hot Wheels vehicle to a $250 AT-ACT R/C vehicle capable of launching Nerf projectiles. A mother brought to light another factor, stating her three sons aren’t Star Wars fans – it’s more of “a generational thing.” She added that her nephew, on the other hand, likes Star Wars since his dad drags him to watch the movies. According to BMO, in the past 10 years, entertainment-related toys increased from 15 to 38 percent of the toy industry’s total revenue. In fact, movie tie-ins served as a major catalyst, driving some of the industry’s strongest growth in 2015 and 2016. In 2016, Star Wars-related merchandise generated over $700 million in revenue. 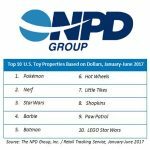 According to NPD, for the first part of 2017, comparisons to prior Star Wars sales drove declines in building and action figures categories. NPD had forecasted 4.5 percent overall growth for 2017. Disney-Pixar’s original Cars animated movie was a true gem with memorable characters and a classic plaything – the car. It continued to be a best-selling licensed brand long after the movie’s original release. Cars 3 was released in a crowded field with Transformers: The Last Knight, Despicable Me 3, and Spider-Man: Homecoming, plus it wasn’t as well-received by film critics. 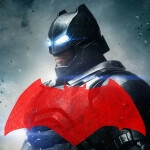 Swathe of Movie Tie-Ins On The Horizon – A Disaster In The Making? There’s a full slate of big blockbuster movie tie-ins for this year – including Avengers: Infinity War, Solo: A Star Wars Story, Spider-Man: Into The Spider-Verse, Jurassic World: Fallen Kingdom, Bumblebee, Incredibles 2, Fantastic Beasts 2, Deadpool 2, X-Men: Dark Phoenix, The New Mutants, Black Panther, Ant-Man and The Wasp, Venom, and Aquaman. There’s a smorgasbord of superhero movies and blockbuster sequels. But could this be a disaster in the making? We’ll have to wait and see, but history suggests it could be. It will be interesting to see what strategies toymakers devise to drive movie tie-in toy sales and whether toy sales will be negatively impacted with a barrage of movie tie-ins in 2018. Memorable characters could be what translate into desirable results in a crowded market. An opportunity may exist for Hollywood and toymakers to have their own ‘coming of age’ story and close the disconnect by exploring toy tie-ins with content kids are actually consuming today. As for the Star Wars brand, companies may need to start looking at how to overcome the generational gap to better appeal to today’s generation.